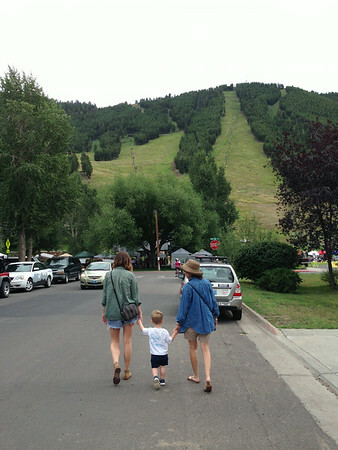 We were on the fence this spring about making the annual trip to Jackson, but ultimately decided to go for it. The flight out there was uneventful with both kids taking naps and enjoying a couple of toys for entertainment. 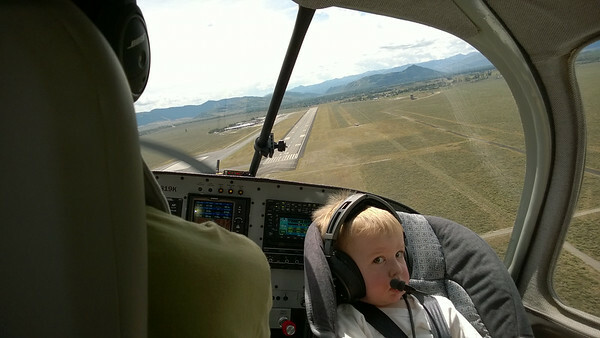 This was Nicholas’ first long flight and Cooper’s first flight after being potty trained. We put Cooper in a diaper and talked about how it was a special airplane diaper that you can go pee in. Before the halfway stop the airplane got really stinky and Cooper said he pooped. We almost landed, but decided to tough it out. When we did land there was no poop in his diaper so we all had a laugh and were glad we didn’t stop for a smelly toot. The weather provided to be a bit more challenging than the passengers and Rob did an airplane write-up about that here. 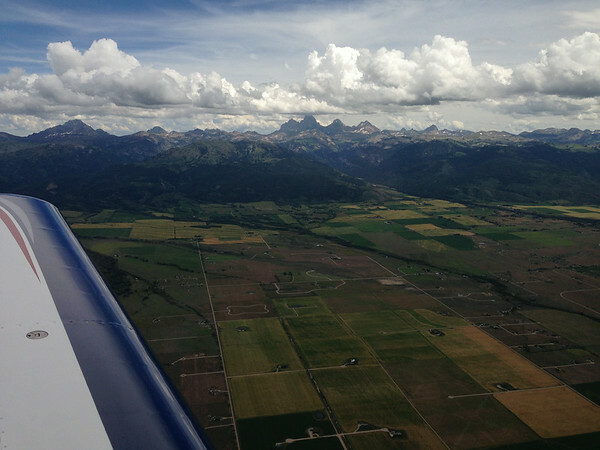 Avoiding the thunderstorms took us on a different flight path that gave us this beautiful view of the Idaho side of the Tetons. We were greeted at the airport by the entire family: Nana, Pop-pop, Uncle Charlie and Aunt Catherine. 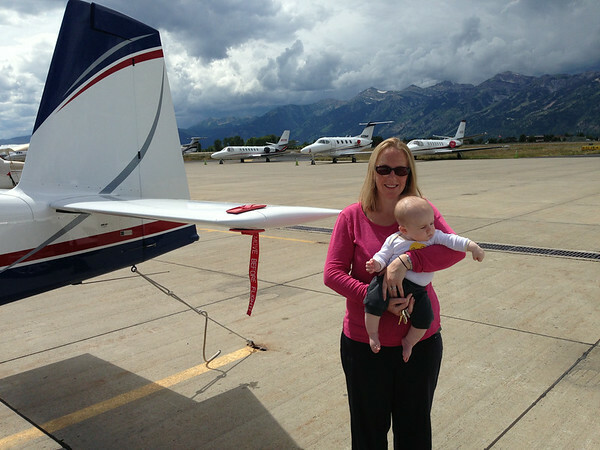 Nicholas was admiring all of the fancy planes and Tetons when he first got out of the plane. One thing we have learned through our travels is that we need to keep Cooper busy before he goes stir crazy. This is most likely a trait he inherited from his Mama and/or being 2. After getting settled in at the house we headed out to check out the farmer’s market at Sno King. 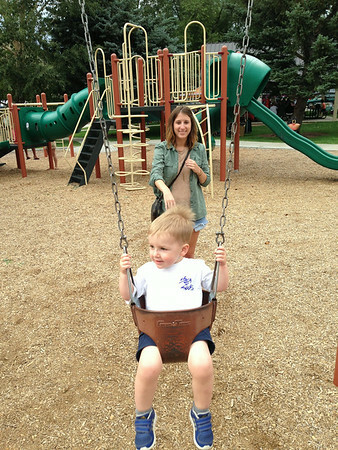 Cooper was a very happy boy when he saw the farmer’s market was surrounding a playground.